Suggestions for the Jew-by-choice or the person who recently married into the Jewish community. Do you have friends or family members who are new to the Tribe? Maybe they recently converted, married a Jew or became newly interested in their Jewish roots? Or maybe you’re the newbie and are wondering what to put on your wish list. 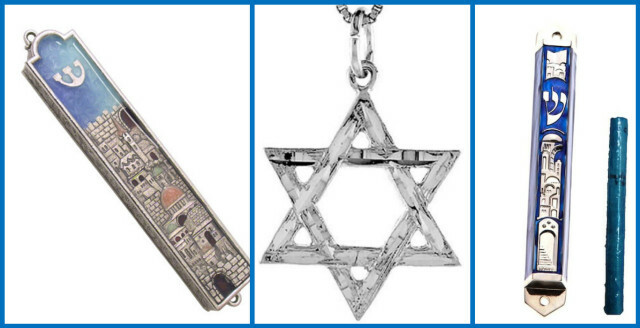 Whatever the particulars, My Jewish Learning has you covered, with Hanukkah gift ideas designed to please the Jewish newbies in your life. Amelia Saltsman’s The Seasonal Jewish Kitchen, Leah Koenig’s Modern Jewish Cooking and chef/restaurateur Michael Solomonov’s Zahav: A World of Israeli Cooking all offer traditional Jewish and Israeli standbys adapted to contemporary tastes and sensibilities. Each was published in the past year (reducing the possibility that your recipient already owns it!) and garnered positive reviews in mainstream, as well as Jewish, publications. Meatballs and Matzah Balls is not quite as new (it came out in 2013), but will be of particular interest to Jewish newcomers since its author, Marcia Friedman, is a Jew by choice who combines Italian (she is half Sicilian) and Jewish cuisine in creative and tasty ways. Maybe your Jewish newbie wants to make challah, but is a bit intimidated by the braiding. A silicon challah mold simplifies the process. Meanwhile, someone making the transition from Christmas cookies to Hanukkah cookies might appreciate a set of Hanukkah-themed cookie cutters. 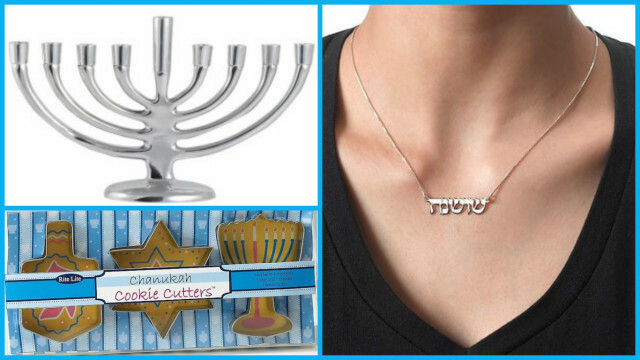 Modern Tribe menorah, Hebrew name necklace, Hanukkah cookie cutters. What’s more fitting for Hanukkah than a Hanukkah menorah? Just make sure you give this one early in the holiday, so the recipient gets to use it this year. A convenient option is a compact travel menorah, perfect for someone who wants to celebrate the holiday outside the home. For something flashy and unique (or for someone who is a bit germ-phobic), try a Kiddush Fountain, which pours the wine or grape juice into individual cups. We’re fond of this one, but Amazon and other retailers have a wide variety of styles and price points. Kiddush fountain, hand-embroidered challah cover and pewter candlesticks. 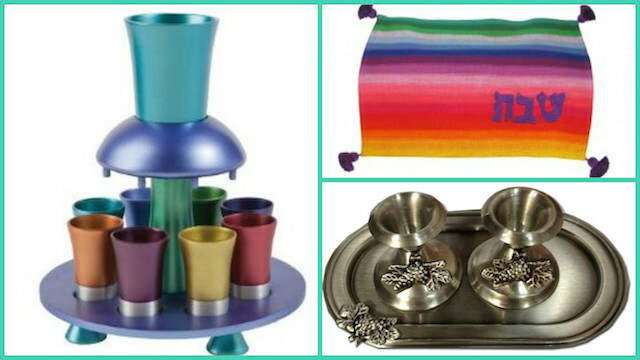 FairTradeJudaica offers a wide variety of Judaica items produced by artisans in developing countries. These certified fair trade items, including this hand-embroidered challah cover are not just beautiful, but you can rest easy knowing the workers received fair pay in safe conditions and that no child labor was used. For something traditional and inexpensive, try these pewter ones, which, sensibly, come with a plate for catching the wax drippings. Jerusalem mezuzah, Star of David pendant, blue metal mezuzah with scroll. We like both of these basic, but attractive mezuzahs: a simple blue metal one and intricate one decorated with a Jerusalem scene. Bear in mind that the Jerusalem one does not come with a scroll, so you (or your recipient) will need to purchase that separately. A silver Star of David is simple and matches everything. And this one is inexpensive. And a custom-made Hebrew necklace is a great option for a Jew by choice who wants to show off his or her new Hebrew name (and newfound Hebrew literacy). The “Not In the Tribe, But I Dig the Vibe” T-shirt is perfect (albeit a bit on the pricy side) for someone who is married to a Jew or simply likes hanging out with them, while these dreidel-print leggings allow Jews and non-Jews to subtly (and comfortably) demonstrate their Hanukkah spirit. Pronounced: muh-ZOO-zuh (oo as in book), Origin: Hebrew, a small box placed on the right doorpost of Jewish homes. It contains a parchment scroll with verses from the Torah inscribed on it, including the Shema prayer (Deuteronomy 6:4-9, 11:13-21). What Gift Do You Give at a Jewish Wedding? My Jewish Learning's official wedding gift guide. Looking for a Judaism 101 book to start your Jewish learning?